Node.js has proved to be an extensive landmark in IT market and developers have got a speedy move towards huge performance gains. There are many reasons that suggest the developers to use Node.js for web application development. Starting with its multi-user, real-time web applications and ending with its proficiency speed. Some benefits of node.js in web applications development are listed below. The HTTP request and response are considered two separate events in web platform, but they are actually data streams. This factor can be applied to its fullest with the Node.js to create some of the best aspects at the time of uploading time or processing files. This can reduce the comprehensive processing duration. The same can also be utilized at the time of real-time audio or video recording. Node.js promotes sharing with the presence of the (NPM) Node Package Manager. 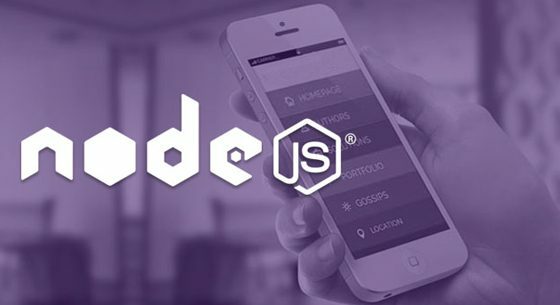 Node.js is the storehouse of 50,000 packages, which helps developers to create impressive solutions. with the inbuilt NPM, developers can easily update, share or reuse codes. Therefore, it can be stated that Node. j’s package manager is powerful and a steady solution for developers. Node.js is can build real-time web applications at a high speed. The extraordinary features suits in web developing real-time applications such as chats and gaming apps. The event-driven architecture furnishes both the server-side and client-side when the code is written in Nodejs.The websocket protocol works with TCP, which handles the multi-user function and prevents the overhead of HTTP for web development. Some of the outstanding platforms such as eBay, LinkedIn, PayPal, etc. have all been developed using Node.js.